Amazon’s founder, Bezos now world’s richest man. Jeff Bezos has overtaken Microsoft co-founder Bill Gates to become the world’s richest man, as Amazon shares surged ahead of an earnings report expected later on Thursday. The value of Bezos’s stake in Amazon rose to $85.7bn on Thursday, thanks to a 40 per cent rise in the share price this year to value the group at around $500bn., making him the wealthiest man in the world according to lists compiled by Forbes and Bloomberg. Like Gates, Bezos is a Seattle resident who keeps a low public profile. In recent years the Amazon founder has devoted more time to his interests outside the company, which include his rocket maker, Blue Origin, and The Washington Post. Soaring tech stocks, which by some measures have passed their dotcom peak, have also boosted the fortunes of Mark Zuckerberg, the Facebook founder, who is the world’s fifth-richest person. Messrs Zuckerberg and Bezos each gained about $25bn in net worth this year due to rising technology sector share prices. Mr Bezos started the year as the world’s fourth-wealthiest person, according to the Bloomberg Billionaires Index, behind Gates, investor Warren Buffett, and Amancio Ortega, the Spanish founder of Inditex, best known for the Zara brand. Bezos own a 17 per cent stake in Amazon, which started out in 1994 as an online bookseller and has since expanded into almost every corner of the consumer universe — from logistics to apparel to cloud computing and digital voice assistants. 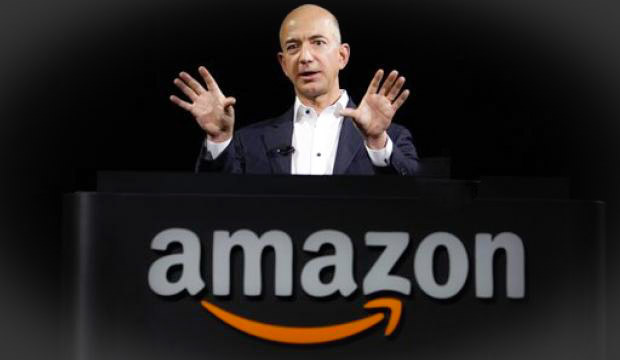 Gossip Mail: Amazon’s founder, Bezos now world’s richest man.